The Front Pocket Holster for North American Arms by Stoner Holsters is designed to allow you to carry your NAA pistol in your front pocket. This pocket holster is designed to keep your gun upright at all times providing the same draw with the gun in the same spot every time. The pocket next to where your gun goes is used to hold an additional 10 rounds of ammo. 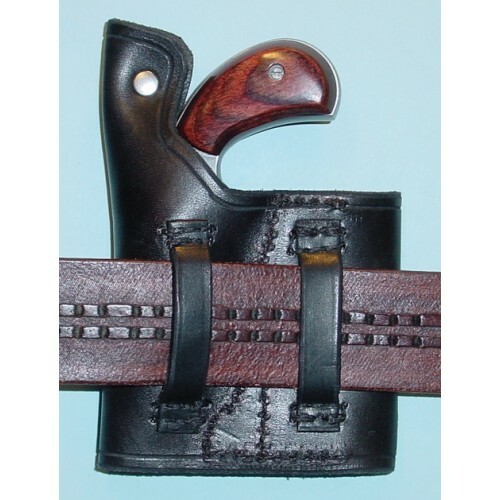 This Front Pocket Holster can be made with belt loops to turn the holster into a Belt Slide Holster. A pull through snap may also be added for extra retention. This holster is unmolded and provides ample retention.